Chapter 11 Bankruptcy | Russell Van Beustring P.C. Home > Archive by category "Chapter 11 bankruptcy"
Court-embattled, Houston ex-surgeon Michael Brown retracted his Chapter 11 bankruptcy filing February 24, a month after having made the initial bankruptcy claim. According to Brown’s attorneys, Brown was led to believe that the reorganization of assets that accompanies a Chapter 11 bankruptcy filing, made on January 23 in a Miami federal court, would result in a closure of “divorce-related issues” that he was having with his estranged wife, Rachel. The bankruptcy filing also “endangers the business and leaves it vulnerable,” as a team of doctors and the former president of Brown Medical Center, Inc. are in a legal battle with Brown, Brown’s lawyers added. A group of doctors accuses Brown of purchasing expensive real estate and two yachts while still owing them significant sums of money. Facing financial and professional difficulties as a company can put a lot of pressure on you. However, filing for Chapter 11, while perhaps not the best course of action for Brown, may be the best solution for you and your company. Call 713-973-6650 today to speak with the legal team at the Russell Van Beustring P.C., today about how bankruptcy may benefit you. Lon Morris College, an accredited two-year junior college, has been sold in an auction after filing for bankruptcy in 2012. Said to be the oldest private junior college in Jacksonville, East Texas, Lon Morris was auctioned off after two weeks of bidding under the facilitation of Ameribid. With bids totaling up to $2.2million, much of the school’s property went to the Jacksonville school district and a local office supplier, 11 X 17, Inc. The administration building and sports grounds was acquired by the Jacksonville school district, while large parts of the academic buildings, chapel and school dormitory went to 11 x 17, Inc. Proceeds from the auction will go to the creditors and former employees, according to Lon Morris chief restructuring officer Dawn Ragan, provided the sale is approved by the bankruptcy court. Undergoing bankruptcy as a business can be a confusing, although extremely beneficial, process. Get the help you need when facing financial difficulties by calling the business bankruptcy attorneys at Russell Van Beustring P.C., at 713-973-6650. Lon Morris College in Jacksonville, a liberal arts school located less than 120 miles southeast of Dallas, filed for bankruptcy in July with only $11 million in assets from endowment money. Now, bankruptcy attorneys want the court to use its charitable funds to pay off its bills to creditors. The college, the only United Methodist-affiliated school, is fighting to keep the money. According to the Wall Street Journal, a lawsuit has been filed by the Texas Methodist Foundation, the holders of the endowments, to protect the money. 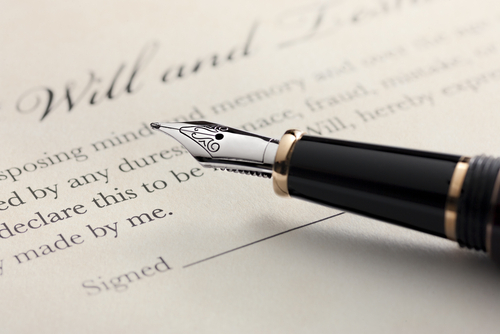 The foundation argues that the individuals who donated their funds in wills or family trusts did not intend for the money to be spent on creditors. However, where the money goes after bankruptcy is not clearly defined in the Bankruptcy Code. Similar conflicts arose in the late 1980s and 1990s. The court ruling over Bishop College’s bankruptcy case in 1987 denied bankruptcy attorneys from using the school’s charitable money to pay for its debts, claiming the money was not part of the bankruptcy estate. However, in 1996, a hospital in bankruptcy was forced to use charitable donations to cover expenses. If your business is considering filing for Chapter 11 bankruptcy, a bankruptcy lawyer can explain your options and legal rights. The legal team at the Law Office of Russell Van Beustring can help you through the bankruptcy process to ensure that you are making the right decisions for you and your company.